Offering the best in the Berkshires since 1978. The updated farmhouse' once the Crippen homestead, offers 6delightful guestrooms all with private baths. Rooms are graced with antiques and collectables. 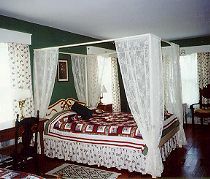 Bed and breakfast guests enjoy a large common room with fireplace, library, and T.V. Complimentary beverages are always available. Delicious breakfasts are served in a friendly family style. Guests enjoy the pool, gardens, and picnic under the towering maples and pines. Available nearby are skiing, the Appalachian Trails, cycling, craft and antique shoes, fine restaurants and a wonderful selection of museums & cultural events, such as the Rockwell Museum & Tanglewood. 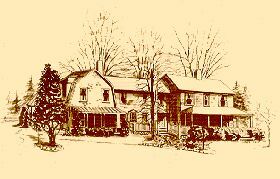 This and other Birkshires Bed and Breakfast Inns can be found here in The Register.